I must be very popular with the old ladies (of the moth kind, that is) as another one paid me a visit last night, a different less tatty individual to those who came last week. I suspect that the attraction that pulls in these `old biddies` is the chance to feed on sugars from decaying apples, windfalls from recent strong winds. As with red admirals by day they may also be attracted by the fermentation of the rotting fruit, producing alcohol - old ladies do like a tipple! 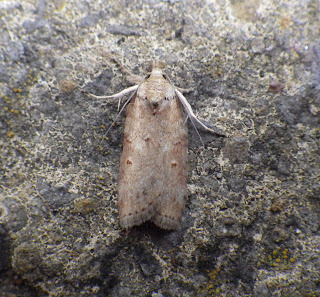 Indeed, this species is said to be attracted by `sugars` (a mix of treacle, with a dash of rum, or whatever) put out by the old school lepidopterists or ` wine ropes`(old ropes soaked in cheap wine). They are not so readily lured by light traps (by the way, my light trap captures have all been to actinic traps, rather than MV, when both were operating). I recall that Mel has also had several old ladies in an old plum (?) orchard at Llansteffan in the past. So, it seems that it`s best to try some rotting fruit (or plant some apple trees, or other fruit) or perhaps try your hand at `sugaring` if you want to lure this species. 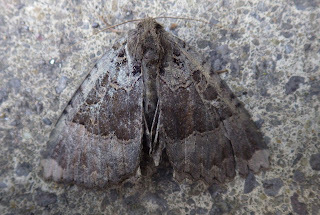 Above: taking its vernacular name from the drab colouration, which is reminiscent of clothing of old ladies in days gone by; such hues nevertheless form quite effective camouflage against certain backgrounds. 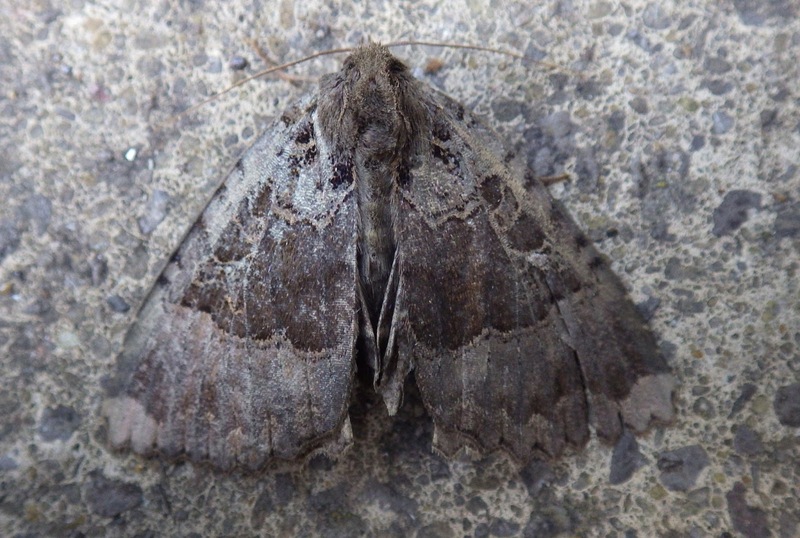 Otherwise, last night`s trap was rather unexceptional with a typical suite of late August moths, though an oak nycteoline was nice to see. 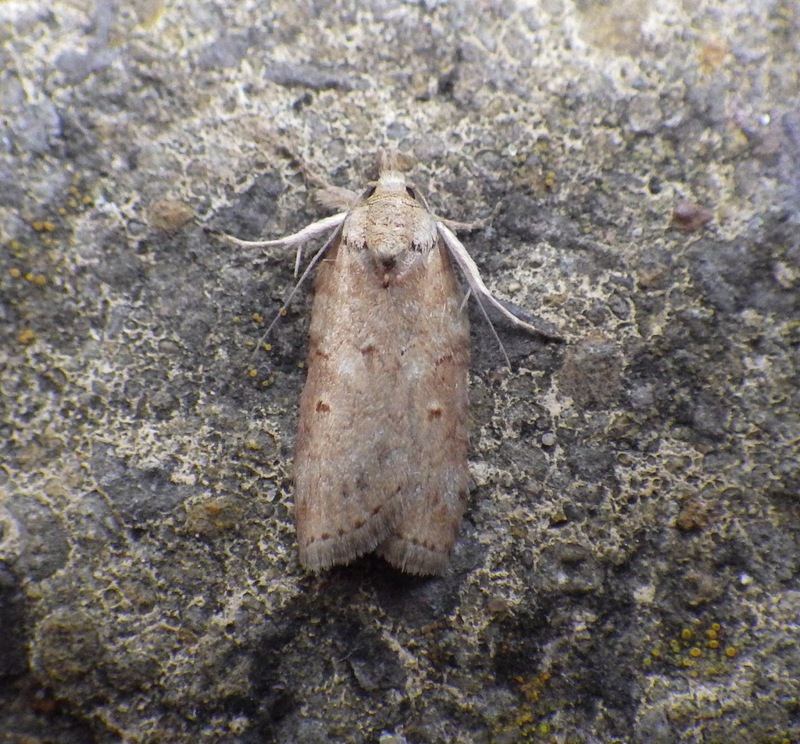 Migrants were represented by singles of silver y and dark sword-grass. Above: last night`s oak nycteoline. You will have to be careful about entertaining these Ladies of the night, you'll get a bad reputation!